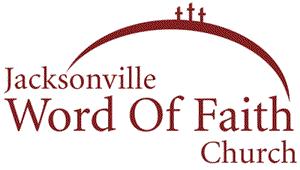 Pastor Simone Fouraker has served as Senior Pastor Of Jacksonville Word Of Faith Church since 1995. She is licensed and ordained with the Association of Faith Churchs and Ministers (AFCM) of Willman, MN. At age 14, Simone was born again. During her teen years, she realized the call of God on her life. She attended Living Word Bible Training Center. After completion, her pursuit of God’s call led her to many places of opportunity to minister including youth camps, women’s and singles’ seminars, and prisons. Her desire in all phases of ministry is for all to receive the anointed Word Of God, so that they may experience Jesus’ love in a greater capacity. Darlene serves as the Administrator of JWFC, and has been since 1997. As the church administrator she is here to facilitate and coordinate the Ministry teams to help make every person’s experience at JWFC to be all that it can be.